All the proof you'll need is in this collection of 20 digitally restored and remastered episodes from those years. The miserly master of ceremonies matches wits with his collection of comic foils: Mary Livingstone, Eddie "Rochester" Anderson, Phil Harris, Dennis Day, and Don Wilson. Episodes include: Returns on a TWA Plane 05-12-40; Dog Catcher of Beverly Hills 11-10-40; The Quiz Kids Versus the Jell-O Kids 04-06-41; Jack Prepares For his Appearance on the Quiz Kids 04-13-41; Jack Is Mad About Academy Awards 03-01-42; Don's Play 04-19-42; The Lone Palm 11-14-43; Jack Gets a Driver's License 12-05-43; Dennis Dreams He Has a Radio Program 03-19-44; Jack Fears Sponsor Will Cancel Contract 10-07-45; Jack Is Sick in Bed After Being Robbed of Ten Thousand Dollars 11-04-45; Palm Springs Shopping 02-24-46; Dennis Returns From the Navy 03-17-46; Aboard the Saratoga Four Days Before It Sank 04-21-46; Jack Is Back From Sun Valley Vacation 10-05-47; Jack Fixes Breakfast 10-12-47; Jack's Girlfriend Gladys Comes to Rehearsal 02-29-48; Jack Is Worried Because Mary Is Late 11-14-48; The Horn Blows at Midnight 02-20-49; Jack Goes to Rehearsal 11-20-49. Please note: These are historical recordings of live performances. The audio quality represents the 1940s technology employed and the acoustic environment where the events occurred. 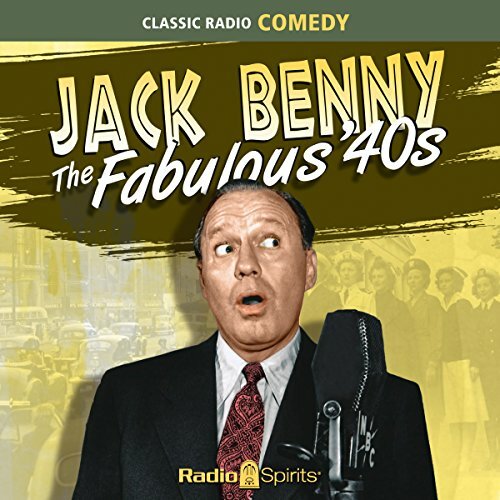 LOVE Jack Benny's radio programs!!! To are so funny!! Listen while doing dishes & cleaning house. Great hearing the old radio shows.